Your Worcester business has decided to look into getting vending machines installed, but who do you turn to and what will the cost be? 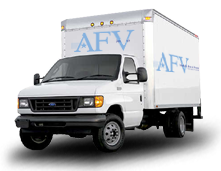 With 30 years experience, American Food & Vending can get your Worcester business started and the upfront cost is zero! Installation, refilling, and maintenance are free from American Food & Vending. 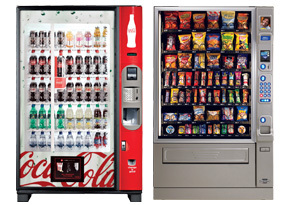 All you really pay for is the electricity, which isn’t much with our energy saving vending machines that are available. You’ll get incredible selections with vending machines with Pepsi Cola products, Coca Cola products, snack vending machines, candy vending machines, cold and hot food, coffee vending machines, and vending machines with all your favorite nutritious food and beverage items. We meet with you and help you determine what the best choice for your Worcester business is, but ultimately the decision is yours. You pick what you want. There are very few employees or customers that don’t enjoy the taste and the “pick me up” that good coffee provides. Why not treat your Worcester employees and customers with coffee services from American Food & Vending? Your break room will have more choices, be well stocked at all times, and become the place to get a cup of coffee instead of employees driving to the not so “nearest” coffee shop on long breaks. Single cup machines or the more traditional pour over or air pots are available for your use, the best equipment that Bunn and Newco have to offer. Clean, fresh, great tasting water is important to any business. Save your space and employees backs by ditching those heavy, hard to store water bottles! Your Worcester can have an in-line water filtration system installed, giving you an endless stream of great tasting water, without the water bottle hassles. Use our website “contact us” page or simply call us at (800) 553-2222.